Finding treasures to give as gifts is truly enjoyable. Shopping for me is always enjoyable but shopping for ideas is truly inspiring and exciting. You never know when you'll hit upon a creative nugget, so a handy notepad and pen is always good, especially if it's not easy to take a quick picture. Shopping online, however, is nirvana as the whole world of ideas opens up with inspiration at every click. 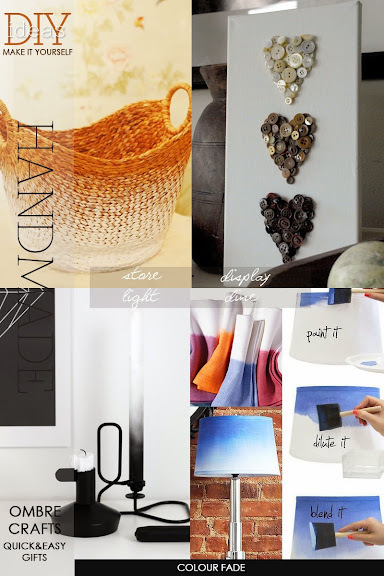 Shelter magazines, home décor stores and of course, my favourite place to graze, I mean gaze, Pinterest. 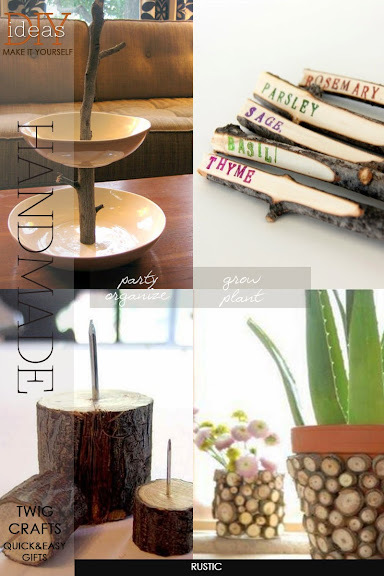 The hunt is always for those unique ideas that can be translated into a fabulous DIY project. 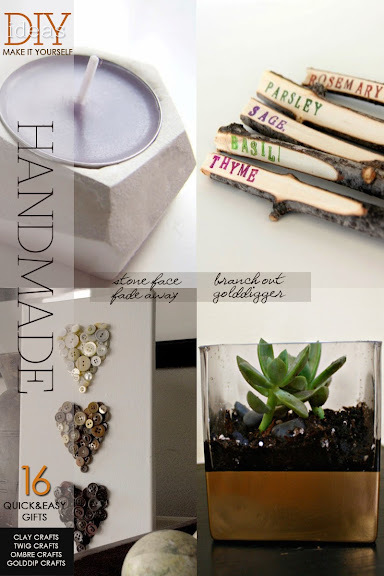 Handmade gifts, ones that are made with care and love are the best. Many times you can run out and get a gift that's cheaper, but not better. 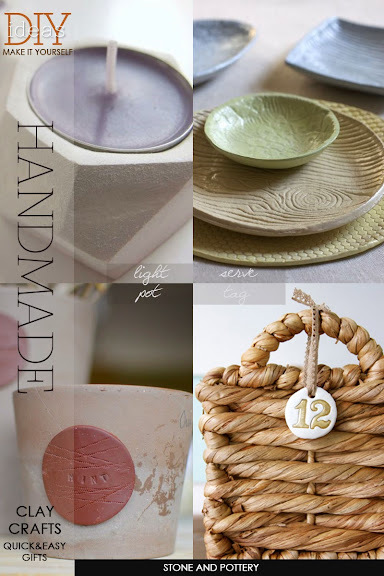 The trend points to handcrafted items so why not give the real deal this holiday season. Hi Daria, thanks so much for including me in your round up. I love to making things to give as gifts, It makes it so much more special. 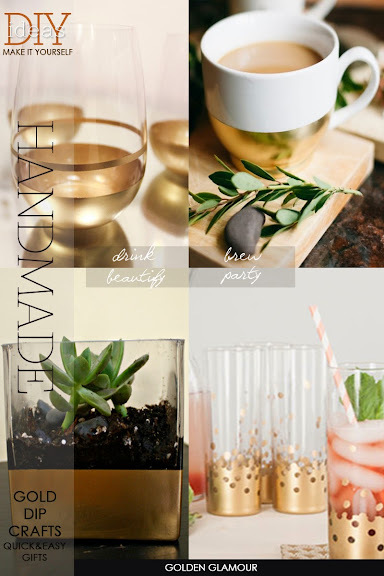 Love all those gold dipped projects, especially the highball glasses. You're welcome! It's always a pleasure to feature crafts and projects that are rendered with a contemporary style, be it in shape, colour or both. The result is clean and very urban, I love it.